The technologies of tomorrow are already making headway into education, and others are poised for mass distribution in 2016. Science-fiction author William Gibson once said, "The future is already here — it's just not very evenly distributed." The technologies of tomorrow are already being tested in select classrooms today, laying the seeds for the future of how students could learn. With 2016 fast approaching, technology analysts have been busy prognosticating the top technology trends. A few of these technologies have already made headway into education, and others are poised for mass distribution, with the promise of ground-shaking change in their wake. We’ve reviewed a few of these trends through the lens of how they could affect classrooms in both K–12 and higher education. 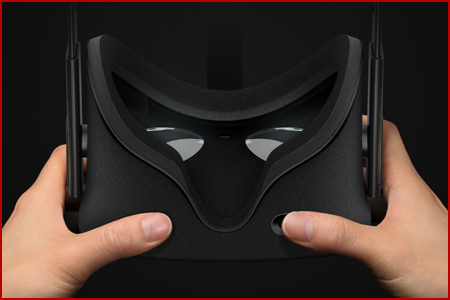 VR is shaping up to be one of the largest technology turf wars of 2016. Several global companies have staked millions of dollars developing their brand of the technology, including Google, Samsung, HTC, Sony and the Facebook-backed Oculus. And in 2016 many of these iterations of the VR craze are set to go to market. At ISTE 2015, representatives of Google Cardboard and Samsung's Gear VR were on hand to demonstrate how the technology could change how students learn. VR even stole the show during journalist Soledad O’Brien’s keynote, in which she said the technology allows students to test the waters of different careers — educational experiences that could alter the trajectory of their studies and their lives. The immersive power of this technology has also caught the eye of Jon Phillips, managing director of strategy for worldwide education at Dell. Phillips tells EdTech that experiential learning can teach complex problems in a different way than traditional education methods of today. “I think as we head into the next year, we're going to see more grassroots approaches to bringing technologies like that into the classroom, allowing students to learn experientially,” says Phillips. Google is already on the case. Its Expeditions Pioneer program is bringing smartphone-powered Google Cardboard devices to classrooms across the country as a way to introduce students to VR technology. Google product manager Ben Schrom told EdTech that Expeditions is about a social VR experience, instead of one where each user is confined to his own virtual world. 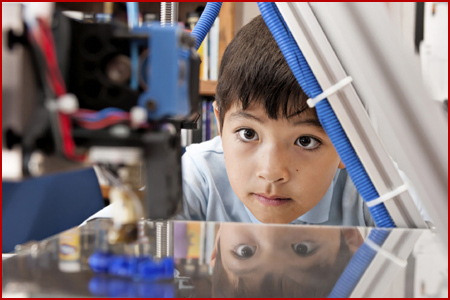 3D printers have already broken through in education, helping students bring their ideas to life or put their hands on concepts that previously lived only in textbooks. But 2016 could prove to be a transformative year for the technology as the devices become more affordable and the barrier to entry continues to drop. EdTech spoke with Jordan Brehove, MakerBot’s vice president of solutions, who explains that the power of 3D printing in education isn’t merely replicating ideas but creating new ones. “There is an inflection point that people get when they start to print because people go out onto Thingiverse, a repository of 3D files, and they print and they print and they print, but there is a certain moment when they realize, ‘I don’t need something that exists, I want something that doesn’t yet exist.’ It’s just a complete paradigm shift,” he says. The support is certainly there. A community of tinkerers, programmers and students are fostering makerspaces — local labs armed with 3D printers and fabrication tools — across the country. Spaces like these are urging learners to develop new engineering skills that could become the bedrock for an industry that’s still being pioneered. The number of connected technologies we use each day continues to multiply, and unless Moore’s Law is disproved, they will continue to shrink, unlocking new uses for connectivity, changing how our lives are networked with technology. For a glimpse at the future, look no further than how companies are gearing up to invest in the IoT. 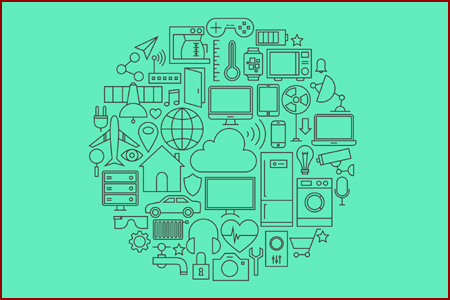 International Data Corp. projects that IoT spending will leap from the $655.8 billion seen in 2014 to $1.7 trillion in 2020, the same year that Gartner Inc. predicts 26 billion devices will be connected to the Internet. Today, the IoT applications for education are still being explored, with some classrooms dabbling in gesture-based controls feeding data to Internet-connected devices. But the potential for the technology looms across a variety of applications, according to Andrés Cardenal, writing for The Motley Fool. The technology also got a mention in IT research and advisory firm Gartner’s list of 10 strategic technology trends of 2016, in its entry on “device mesh,” the big-picture view of how our devices interact, creating a new picture of our lives through the data these devices collect. “In the postmobile world the focus shifts to the mobile user who is surrounded by a mesh of devices extending well beyond traditional mobile devices,” according to Gartner Vice President David Cearley. The current star of the Internet of Things concept, wearable technology, still has a lot to prove to educators. Analysts at New Media Consortium (NMC) predict it will be widespread in classrooms in about four years, but there are already examples of the technology making waves in education. “Indeed, wearable technology has been pushing the boundaries of what students are able to create — even spurring wearable-themed school events and contests,” according to NMC’s 2015 report. Massachusetts Institute of Technology’s Lincoln Laboratory hosted a wearable-themed workshop as an interactive way of introducing mechanical design and electrical engineering to high school girls, the NMC report states. In 2015, UNICEF launched Kid Power, a fitness program that tracked the steps of about 10,000 students while they wore fitness bands. Participants accrued points for walking, which were then converted into monetary donations to purchase food packets for malnourished children. 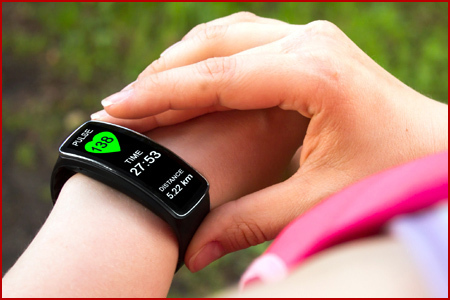 “Wearables not only assist students, but also offer many benefits to educators. From pinging students’ GPS locations during a field trip to recording point-of-view lessons, teachers have more options to monitor and engage with students. And this engagement can also translate to communication between educators, giving them more options for collaboration,” according to the K-12 Tech Decisions blog. As engineers refine machine-learning techniques, the tasks that devices can perform are becoming more sophisticated; indeed, these gadgets are on the cusp of becoming true thinking machines. At the same time, this sophistication allows smaller devices to do extraordinary things. In the coming year, a few innovations are on the horizon that could change the traditional role of technology in education. IBM’s cognitive-computing platform, Watson, has recently been used to revolutionize how higher education research is conducted. The results of AI-enhanced research methods can already be seen. In 2014, the company released the Watson Discovery Advisor, tailoring Watson's unique abilities to aid researchers struggling to parse mountains of data. 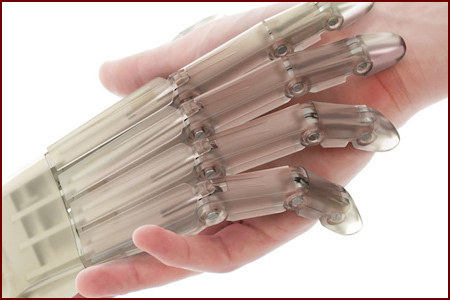 Other analysts see robotics serving a more hands-on role in the classroom. Constance Smith of Frog, a design firm, says robotic toys are capable of changing how special-education students learn in the classroom. “In the future, we’ll see a rise in robotic toys that serve counselors and playmates to children with various learning disabilities like Autism. Studies have shown that AI toys are extremely effective in getting withdrawn ASD kids in engaging in personal, playful interactions. Special Education departments will soon have whole classrooms of intelligent toys to play with,” Smith writes. Meanwhile, connected devices like the programmable robot Sphero are already working well in the classroom, reports K-12 educator Sam Patterson. It just takes the right lesson plan to unlock their potential, he says. “There are hundreds of other great ways to use these robots to support student learning. My advice is get one and put it into the hands of students — see what they can do. Build challenges and celebrate failure. Learning can be hard but fun, and these robots make integration easy,” Patterson writes in an EdTech blog.